Peermont Hotels, Casinos and Resorts is a hospitality and gaming company that operates in South Africa and Botswana. 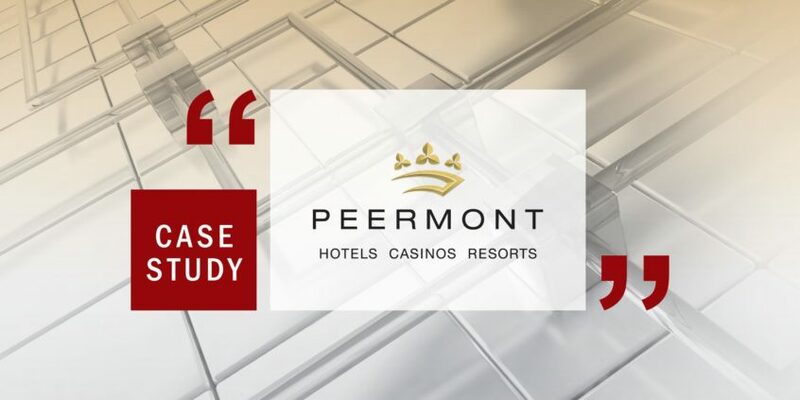 Peermont has an excellent track record in the design, development, management, ownership and operation of multi-faceted integrated resorts, including hotels, casinos, convention centres, retail centres, health spas, restaurants, bars and other sport and entertainment facilities. When Peermont took the decision to implement a single gaming system across all 10 casinos in its stable, it chose the Bally Technologies Casino Management System (CMS). The implementation of this new CMS required a migration from the existing legacy database environment to the Microsoft SQL Server database platform. Following the decision to utilise Microsoft SQL Server, the company found that it needed to engage with an specialist Database Organisation like Ascent Technology. Ernst Karner, Peermont’s Group IT Manager explains that the Bally CMS benefits both customers – in that it enables cashless play, offers an improved loyalty programme for patrons and exciting interactive features – and Peermont itself, as it allows for incredibly powerful promotions, flexible marketing tools and powerful business intelligence insights. “These benefits can, however, only be effectively realised if the database environment is performing optimally, ” he says. He adds that Peermont’s database environment consists of some 50 Microsoft SQL Servers now, spread across the 10 sites – seven of which are in South Africa, with a further three in Botswana. With such a geographically distributed environment that nonetheless requires 100% uptime, specific technical skills and experience are needed to maintain the 24/7 criticality of these systems. “Ultimately, we need a partner with the resources to maintain and manage our database environment, while at the same time offering the specialist skills required to ensure the continuity that is so vital to our operations,” says Karner. Furthermore, says Karner, an additional plus point is the fact that Ascent continues to demonstrate a willingness to play a role in transferring skills to Peermont’s in-house IT department. Johan Lamberts, MD of Ascent, says that he is pleased to be working with a client of Peermont’s calibre. “Ascent has now been assisting Peermont for a year and the relationship remains strong; in fact, they have just committed to a renewal of our Database Support Contract. We are thus looking forward to continuing to provide Peermont with the kind of service they have come to expect,” he says. Karner indicates that what has impressed him most about Ascent’s approach is the company’s proactive systems management, which has added enormous value to Peermont. Through this, he says, Ascent is able to identify current and potential future performance and capacity issues, which means that these can be resolved early. Prevention, he adds, is always better than cure. “The level of support Ascent provides is fantastic, with experienced people always available should any challenges arise. It is this, more than anything, that enables me to sleep easy at night,” he concludes.